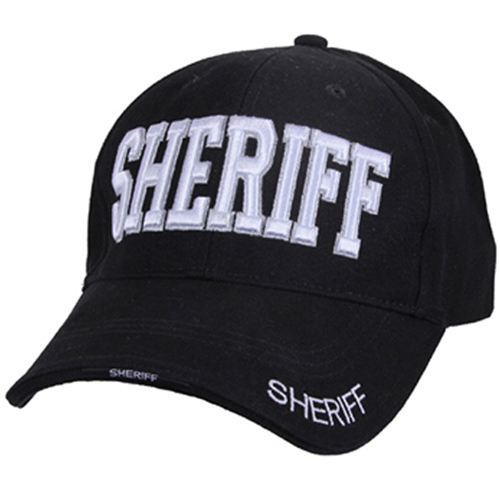 Deluxe Low Profile Cap features a comfortable yet durable 100% brushed cotton twill material with raised white 3-D Sheriff embroidered lettering on the front panel of the hat. In addition, the cap features embroidered “Sheriff” lettering on the front & top of the brim. The low pro cap is adjustable with a hook & loop closure in the back.